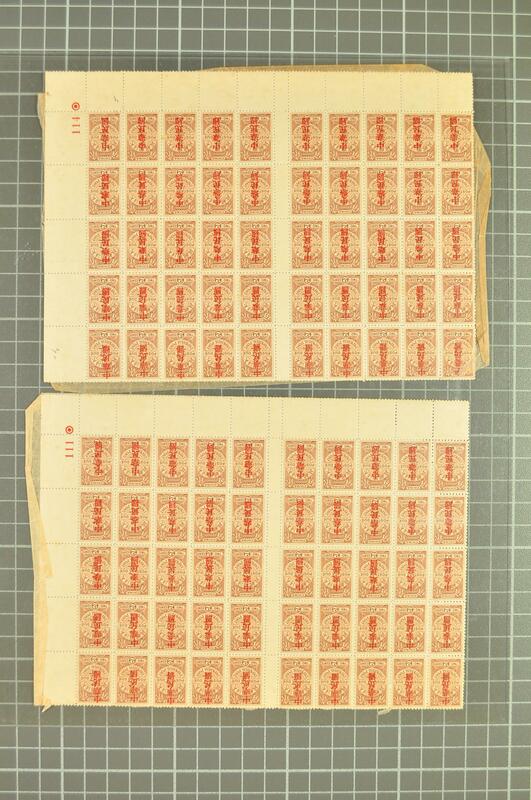 1904/15: Postage Dues selection, march 1904 ½ c. brown in an unused block of eight, Nov 1904 10 c. blue strip of three used on Great Britain Parcel Post form with 'Earlsdon' cds adjacent (March 30, 1909), 1912 optd. 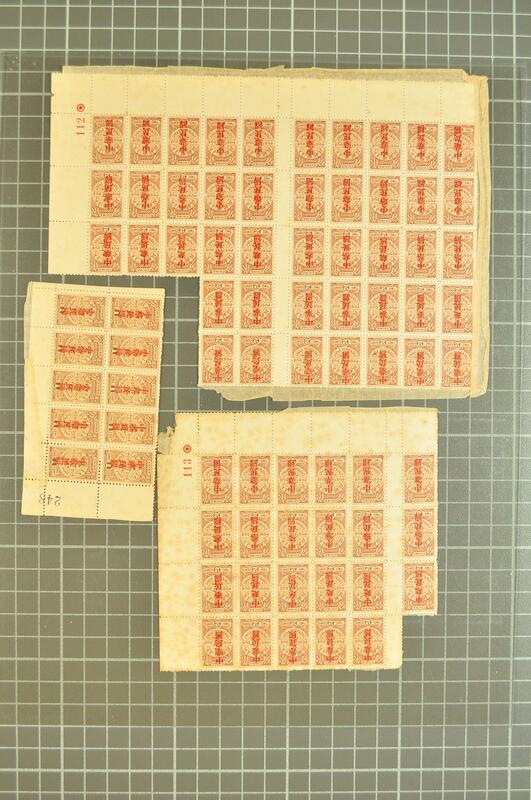 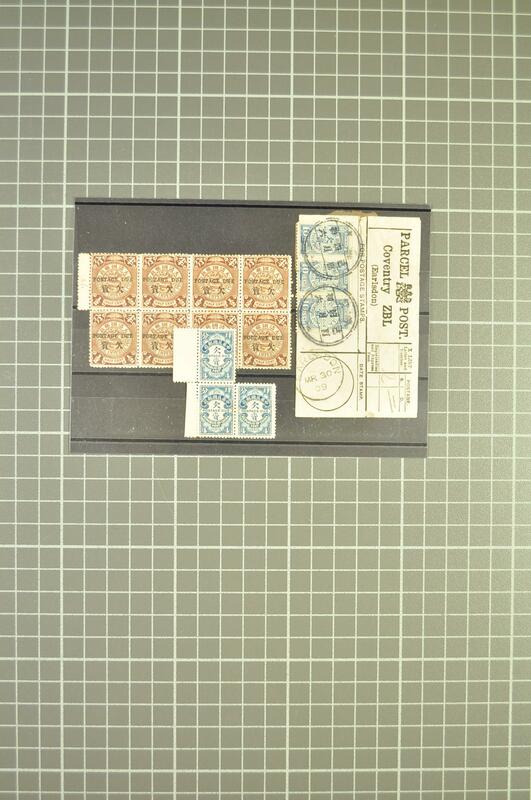 1 c. brown in a block of ten, 2 c. brown in blocks of 44, 49 and 50, unused but all these are stuck to backing paper, with a further stained block 20; 1915 redrawn 1 c. blue in a block of 79 and 10 c. blue block of ten also affected by rice paper on gum etc. 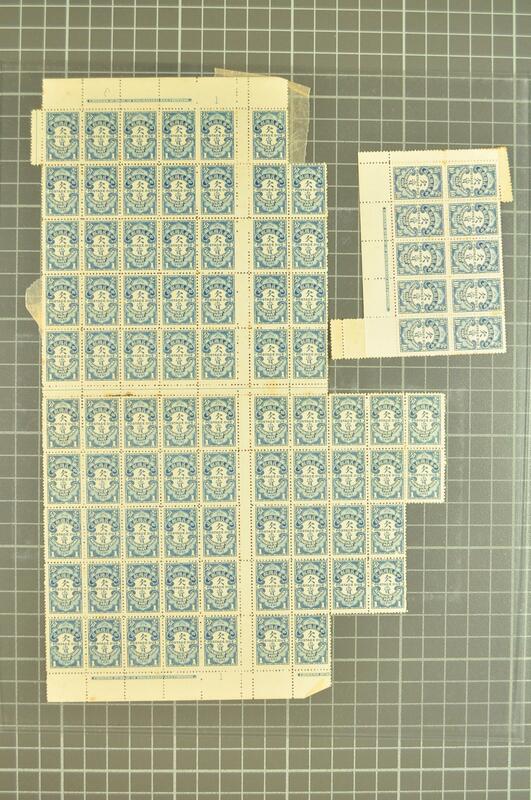 Despite faults an interesting lot of high catalogue value Gi = £ 1'200+.